OLD PARKED CARS. 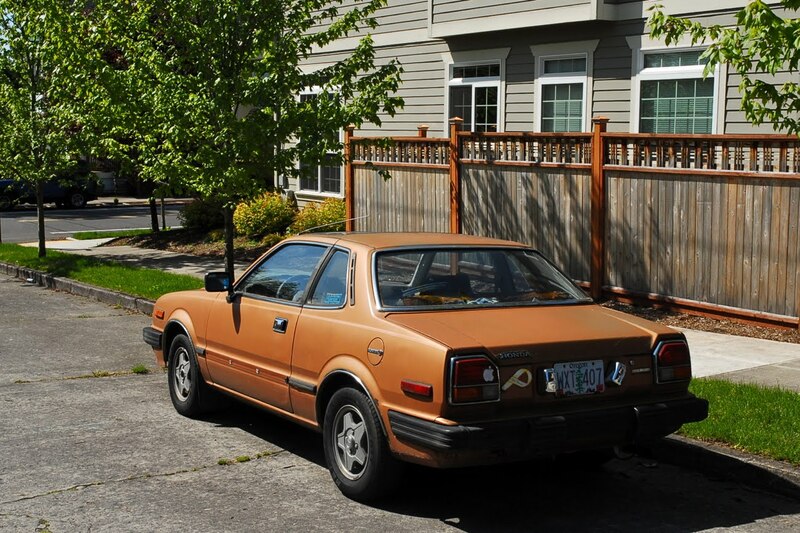 : 1981 Honda Prelude. alright, first gen prelude and by far the coolest looking generation. love those block taillights and those rims look pretty good. 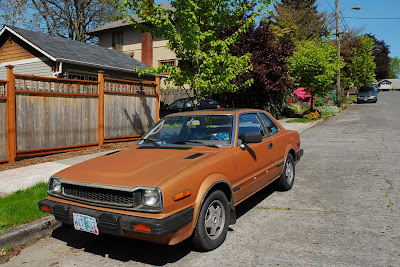 copper orange is a real good color for this car. What! Explain! I believe you, but actually want to get in on that thought process and enjoy the ride. The Pajero was the OPC I was the most stunned about. My reaction was just like What??! I actually like the four-door Montero that was added better but it's not nearly as extremely rare. honda had some paint colors around this time that almost seem designed to look better as they weathered in over the decades. like this prelude, and this and this. wonderful. great comments here, too. I don't know how I know this, but the '82 Prelude is when they added the "H" to the grille, the last year of this generation. Preludes were one of the reasons I became a 'car guy'. I had a hot wheels of this car, I remember thinking how cool it was. 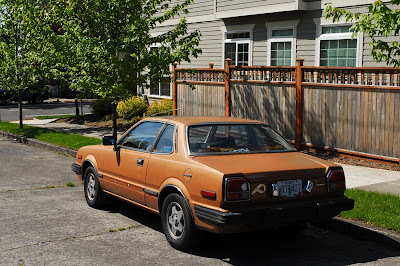 I have loved every generation of the Prelude, and am very sad its not in production anymore. The wheels really fit with that color, I dig it. Tony, I know what you mean about the paint. My '80 Accord was burgandy originally but has faded into a pearlescent rose champagne color. People ask me if it's custom! 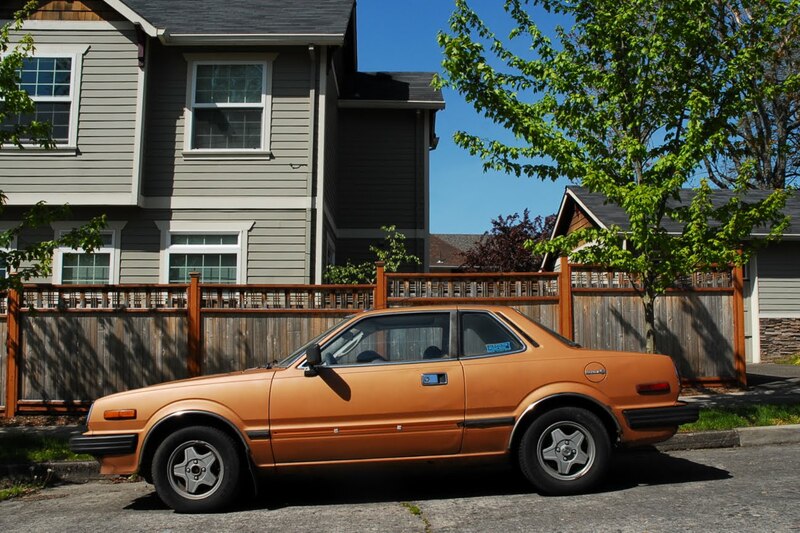 Based on the paint color and one-year-only side mirror design, that's a 1980 model. The color name is Longleet Gold metallic. 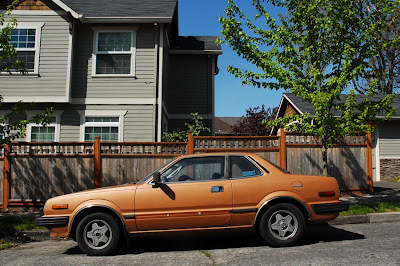 (I have an '80 Accord in the same color.) Love the Honda Accessory wheels, too!